What better way to start off the school year than with a glow party! 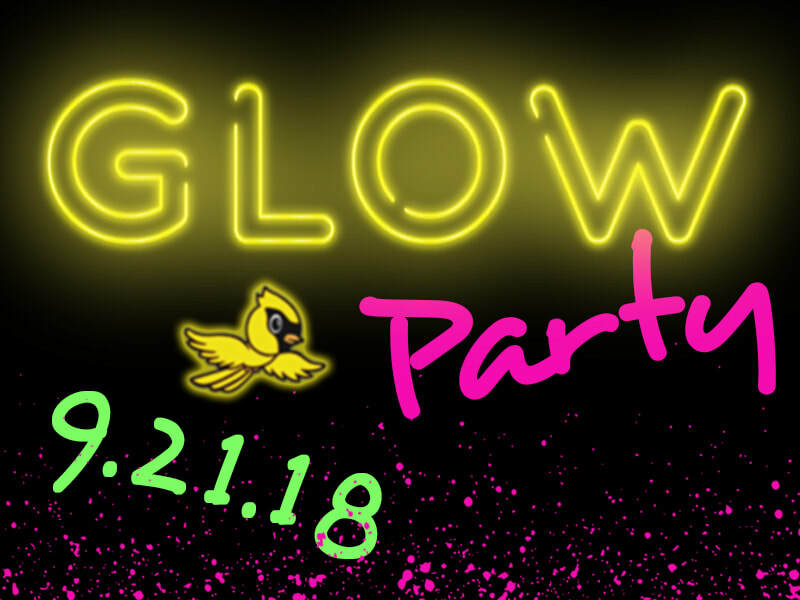 Students and parents can get their glow on and party the night away! Enjoy dancing and glowing to the beats of our awesome DJ and get glowtastic with complimentary glow in the dark face and body paint! Tickets include admission, glow bracelet, and face/body paint. Concessions include glow items, pizza, snacks and drinks. Cost: $10 per parent/child combo ticket. $5 for additional adult or child ticket. $1 per concession ticket. Food and Glow Concessions run between 1 and 2 tickets. ​Tickets will go on sale September 4. Pre-Sale for PTO Members August 31. PURCHASE WRISTBANDS AND CONCESSION TICKETS AT THE DOOR. CREDIT CARD, CHECK AND CASH ACCEPTED!